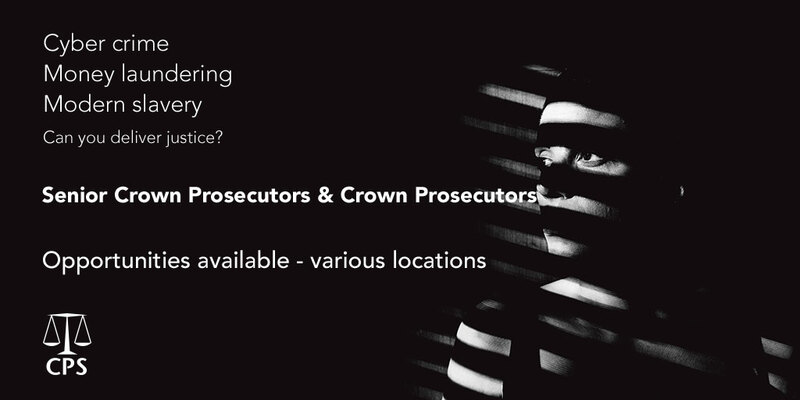 We are looking for lawyers who want to make a real difference and play a key role in securing justice for the victims and witnesses of crime. Iain Jordan, Senior Crown Prosecutor, says, “Although I joined as a Crown Prosecutor, I have recently been promoted to a Senior Crown Prosecutor which has been an endorsement of confidence in my ability and has justified my decision to leave private practice." In return for your commitment and expertise, we offer real opportunities to develop and progress your legal career with a wide range of benefits available, including flexible working, civil service pension scheme, access to employee savings including high street retailer offers and discounts and 25 days leave, rising to 30 days after five years’ service. If you are committed to public service and are looking for a role at the very forefront of delivering justice, you can apply now for vacancies in various locations.